Federal air marshals have closely monitored about 5,000 US citizens on domestic flights in recent months under the controversial “Quiet Skies” program, but none were deemed so suspicious that they required further scrutiny, according to three people with direct knowledge of a congressional briefing held Thursday with the Transportation Security Administration. TSA officials were summoned to Capitol Hill Wednesday and Thursday afternoon following Globe reports on the secret program, which sparked sharp criticism because it includes extensive surveillance of domestic fliers who are not suspected of a crime or listed on any terrorist watch list. 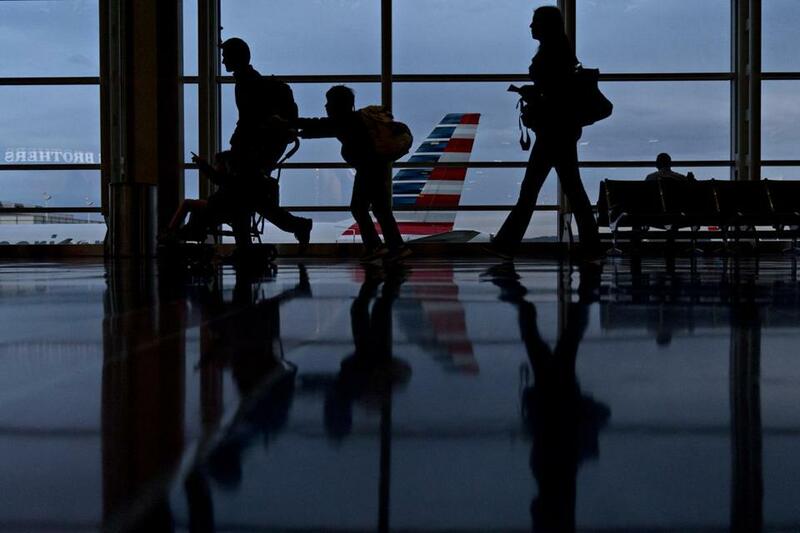 In an hourlong briefing with congressional committee staffers, TSA officials provided details on the Quiet Skies program, which expanded in March to include monitoring by teams of armed, undercover air marshals. The teams document whether passengers fidget, use a computer, or have a “cold penetrating stare,” among other behaviors, according to agency documents. All US citizens who enter the country from abroad are screened via Quiet Skies. Passengers may be selected through a broad, undisclosed set of criteria for enhanced surveillance by a team of air marshals on subsequent domestic flights, according to agency documents. Dozens of air marshals told the Globe the “special mission coverage” seems to test the limits of the law, and is a waste of time and resources. Several said surveillance teams had been assigned to follow people who appeared to pose no threat — a working flight attendant, a businesswoman, a fellow law enforcement officer — and to document their actions in-flight and through airports. These citizens represent a minuscule percentage of the nearly 2.6 million people who fly in and out of US airports each day. The TSA defended the program, said it would continue, and announced plans to better educate and communicate with members of the Federal Air Marshal Service, or FAMS, according to four people with knowledge of the exchange. 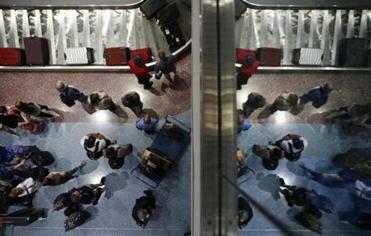 The TSA did not immediately respond to a request for comment Thursday night. Several members of Congress said they were caught off-guard by the revelations surrounding Quiet Skies. TSA initially refused to acknowledge the existence of Quiet Skies or say whether efforts intercepted any threats, when the Globe began asking questions last week. Following the published report, the agency confirmed the broad outline of the program and defended its mission, likening the surveillance to a police officer using observational skills to identify threats. Several members of Congress have demanded more information on Quiet Skies. Representative Stephen F. Lynch, a Massachusetts Democrat on the House oversight committee, urged a bipartisan oversight hearing. “In furtherance of our national security, a meaningful examination of the purpose, scope, and legality of this program will enable us to assess the effectiveness of the Quiet Skies program and better ensure the protection of American civil liberties,” Lynch wrote in a letter Monday to his colleague, committee chair Trey Gowdy, a South Carolina Republican who sent an inquiry to the TSA. Meanwhile, Democrats on the House Homeland Security Committee gave the agency an Aug. 14 deadline to answer questions. The TSA, created in the wake of the Sept. 11 attacks, has traditionally placed armed air marshals on routes it considered potentially higher risk, or on flights with a passenger on a terrorist watch list. Air marshals have typically tracked the subjects of open FBI terrorism investigations and relayed that information back to the FBI or other law enforcement agencies. Passengers on domestic flights are not notified when they are placed on the Quiet Skies list or have their activity and behavior monitored. The TSA, which spent more than $800 million in 2015 on its Federal Air Marshal Service, falls under the Department of Homeland Security.